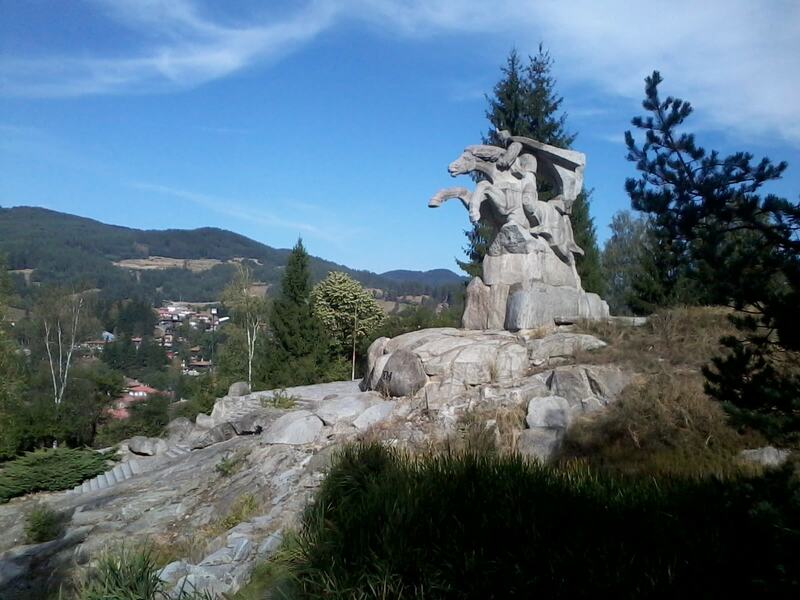 The town of Koprivshtitsa is located in the heart of the Sredna Gora mountain range. 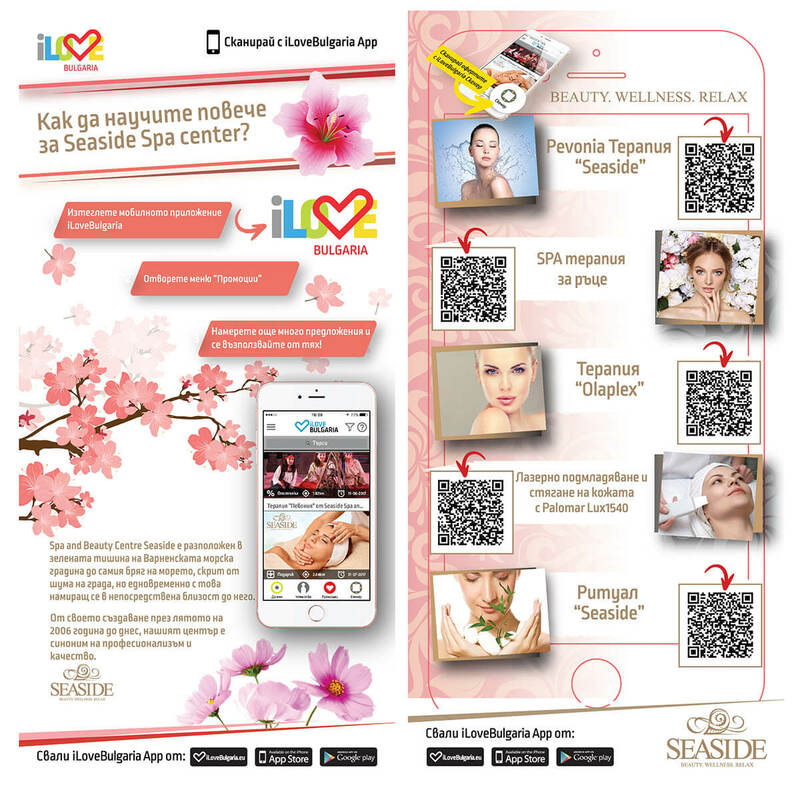 It is 110 km from Sofia, 24 km from Pirdop, 22 km from Strelcha, and 90 km from Plovdiv. In 1952, it was declared the only city-museum in the country, and since 1971 it has been an architectural and historical reserve, with a total of 388 architectural, historical, artistic, and ethnographic monuments. In 1978, it was recognized as a national architectural reserve of international importance and as an international tourist destination.There are many legends concerning the town’s beginnings. One relates that the location boasted a plentiful store of kop, and that it was particularly fertile, a popular resting place for caravans and shepherds herding their flocks. 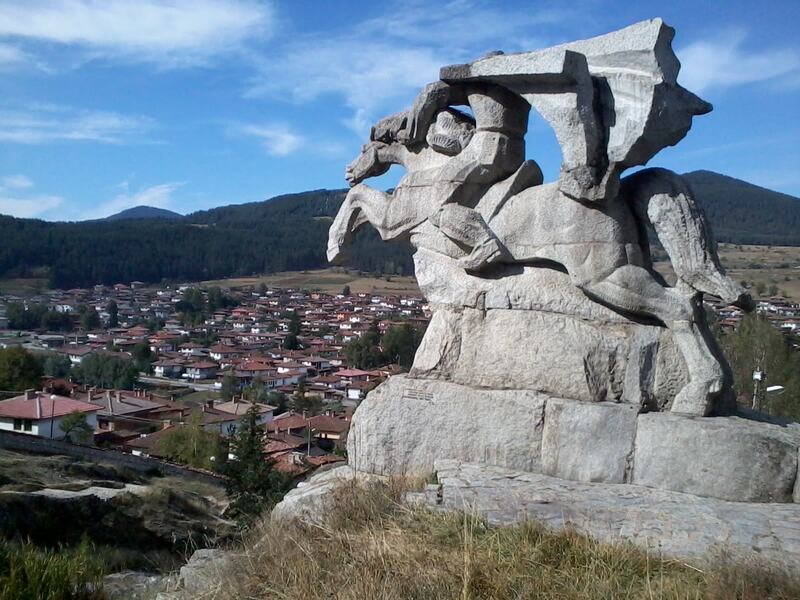 It was here that proto-Bulgarians settled with their herds – people known as “Zhupa” – and that was the origin of Koprivshtitsa. 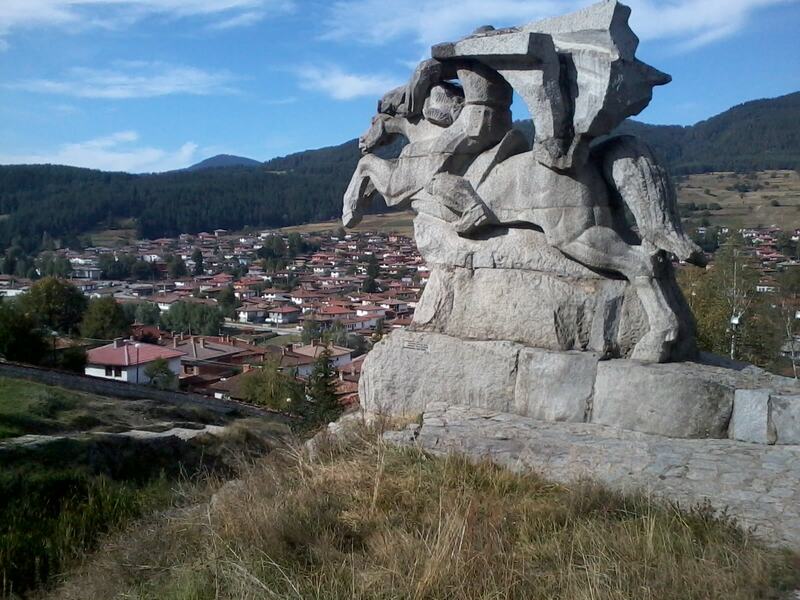 Another legend has it that Koprivshtitsa was the base for the “lords of Rila” who settled the area with their livestock and petitioned the Ottoman sultan to proclaim them the rulers of Koprivshtitsa. He issued a decree granting them wide-ranging privileges. 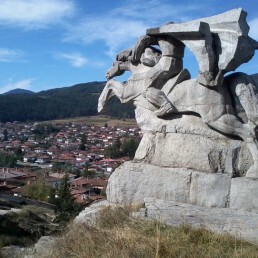 In the decree the sultan referred to Koprivshtitsa as the “Woman’s Field” – and that is what the Ottomans called Koprivshtitsa in the years that followed. 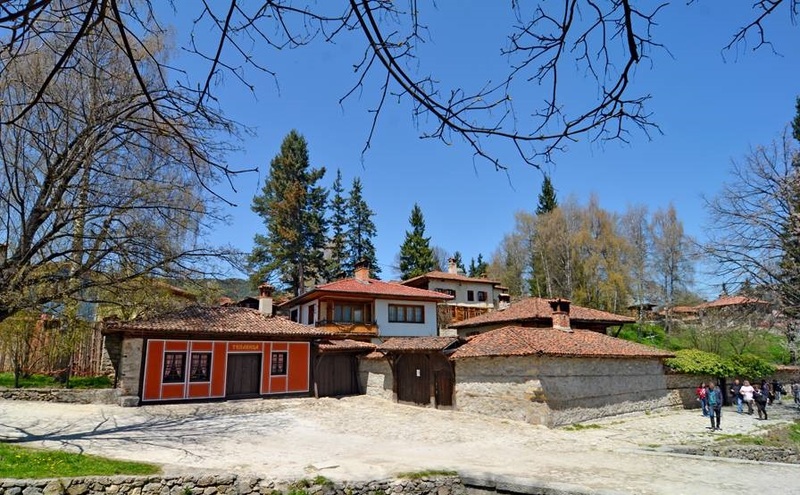 A third legend claims that the village was settled by Bulgarian fugitives, heirs of the numerous Bulgarian tribes of Bolyari, herdsman, and tenders of livestock, who removed to the region after Bulgaria came under Ottoman rule (at the end of the 16th century). Among them were three shepherds – Lambo, Toroman, and Arnautin, who founded the enclaves that today bear their names. 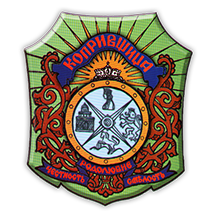 All of the legends agree that Koprivshtitsa was founded at the end of the Second Bulgarian Empire (the end of the 14th century). 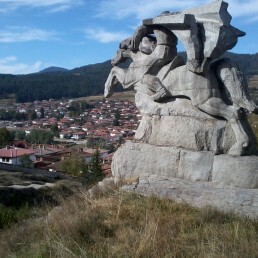 From 1793 to 1819, Koprivshtitsa was engulfed in flames three times. The third time the town was almost completely destroyed, and after that the current city foundations were laid. The new community gradually expanded as the local population of merchants and artisans contributed to its development. 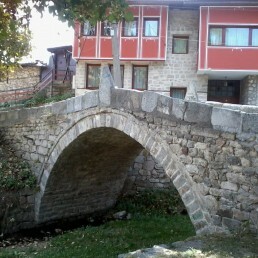 Koprivshtitsa has always been of historical interest, since it is associated with the rise of the Bulgarian people during the country’s Age of Awakening (18th – 19th centuries). 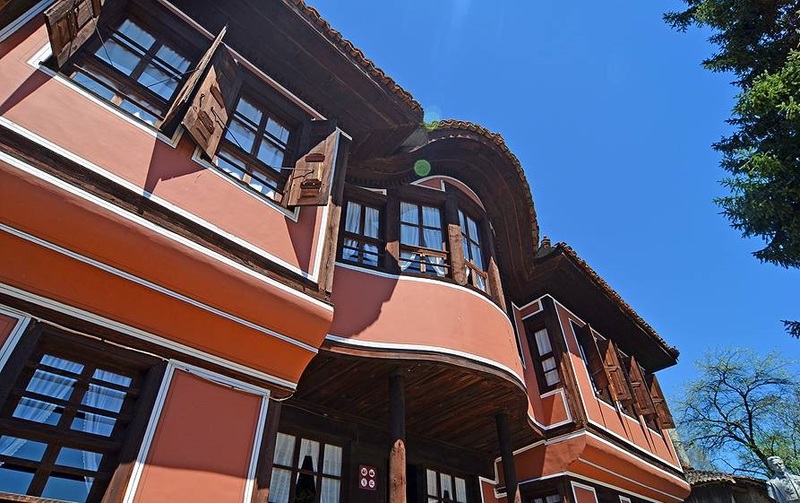 The architecture in Koprivshtitsa reflects the historical development growth of Bulgarian traditional architecture that can still be observed in its various forms at present. 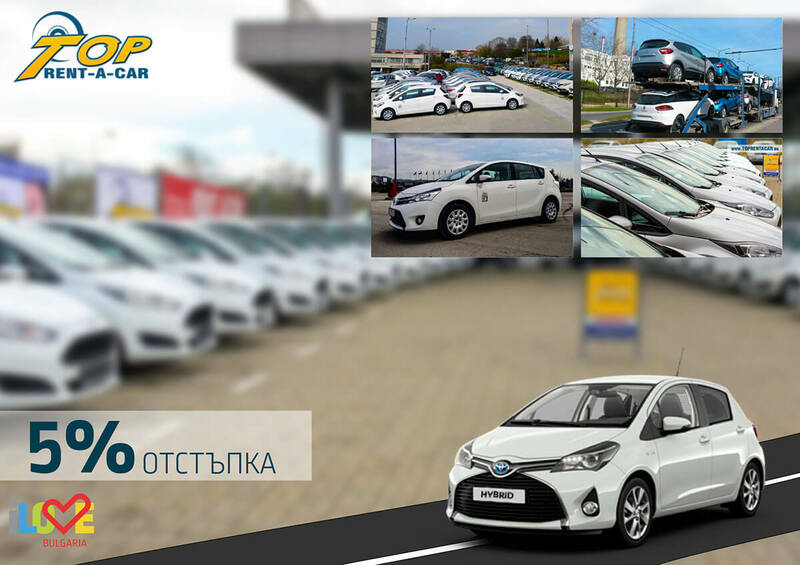 The first stages of its development closely resemble the architecture found in the communities of Zheravna, Tryavna, Samokov, Etropole, Tetevan, and other locations. 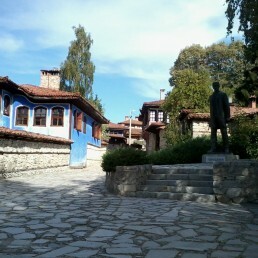 In 1956, a museum directorate was established in Koprivshitsa with the goal of saving, preserving, and popularizing the town’s cultural and historical heritage. 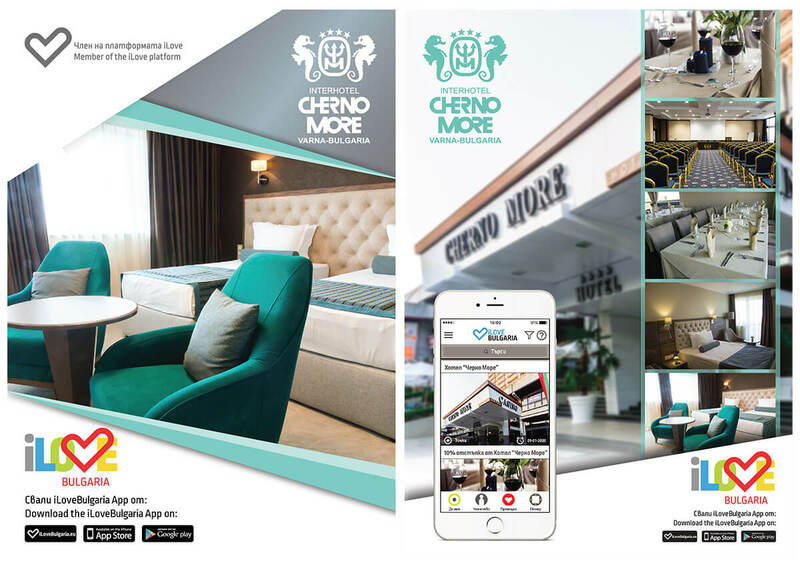 Among the museums and local attractions are The Oslekov House, The Lyutova House, The Todor Kableshkov Museum, The Dimcho Debelyanov Museum, The Georgi Benkovski Museum, and The Liuben Karavelov Museum. The Oslekov House was built in 1856 by the wealthy Koprivshtitsa merchant Nencho Oslakov. 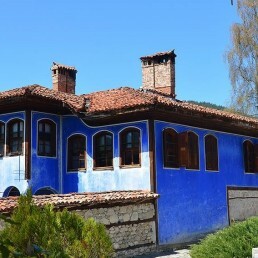 Of particular interest are the richly decorated walls and columns that suggest the lifestyle enjoyed by a wealthy Koprivshtitsa family during the 19th century. The museum exhibit includes unique items, such as women’s and men’s clothing, a collection of Koprivshtitsa decorative embroidery (lacework), and knitted stockings. 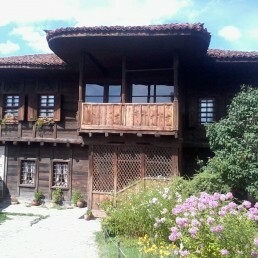 The structure that is now The Lyutova House Museum, also known as The Topalova House, was built in 1854 by the family of the influential Koprivshtitsa tax collector Stefan Topalov, then sold to a wealthy Koprivshtitsa merchant, Petko Lyutov. On the ground floor can be seen authentic Koprivshtitsa felt objects of uncarded wool. On the second floor is a collection of murals and woodcarvings. A fountain of rosewater freshens the air in the upper salon. 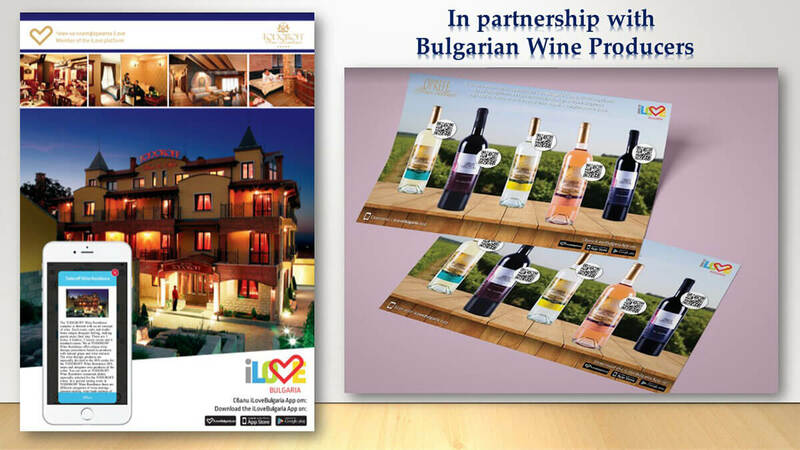 The guestroom is appointed with Koprivshtitsa wall hangings and women’s clothing, recalling a traditional lifestyle. 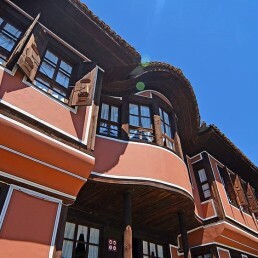 The Todor Kableshkov House and Museum was built in 1845 in the Plovdiv style. 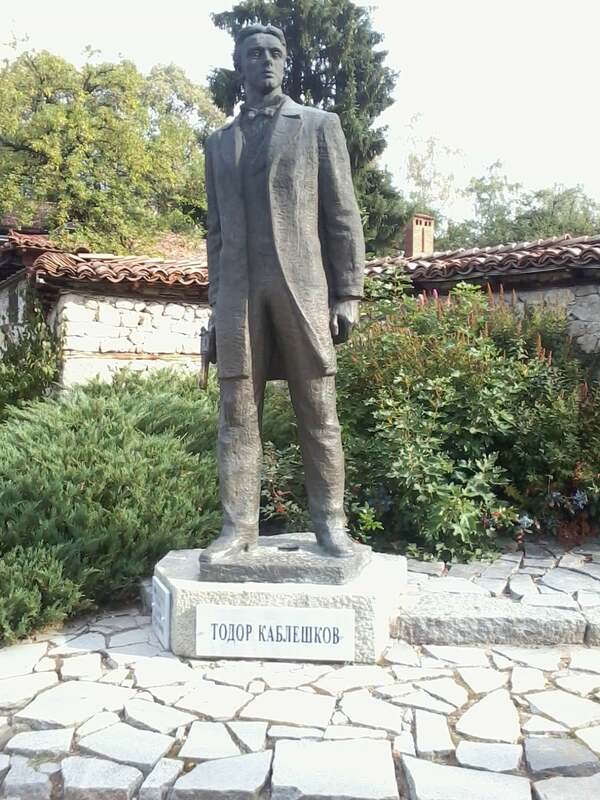 In 1932 the first museum in Koprivshtitsa was opened there, and in 1954 it became an independent museum, taking the name of the revolutionary leader who was born there, Todor Kapleshkov (1851-1876). The exhibition on the first floor is a display of the authentic household objects owned by the large family of Todor’s father Luchlo Kableshkov, an influential resident of the town. Here were the rooms where the women in the family worked, including the kitchen, dressing room, and the room where Todor was born. 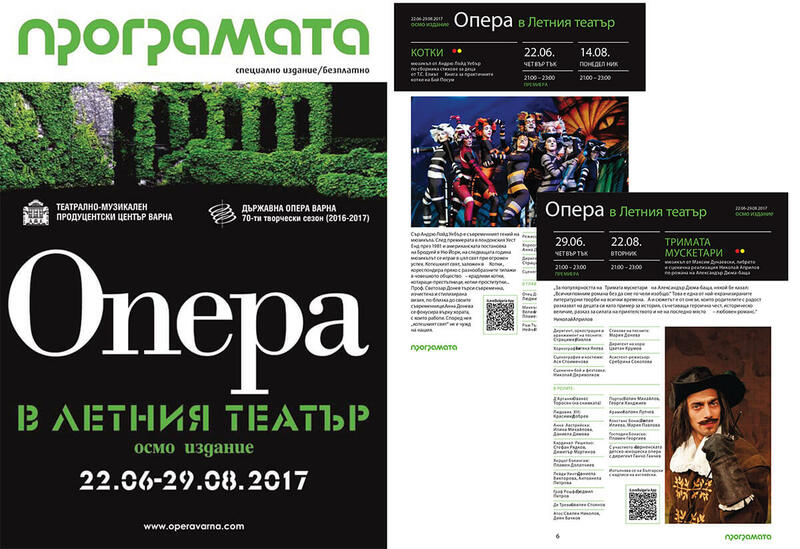 The last exhibition in the house, mounted in 2005, displayed the riches owned by Koprivshtitsa’s influential residents. Among the museum’s holdings are Kableshkov’s school books, two new guns, the hat he wore as the Belova railway stationmaster, and his unfinished translation of The Count of Monte Christo. 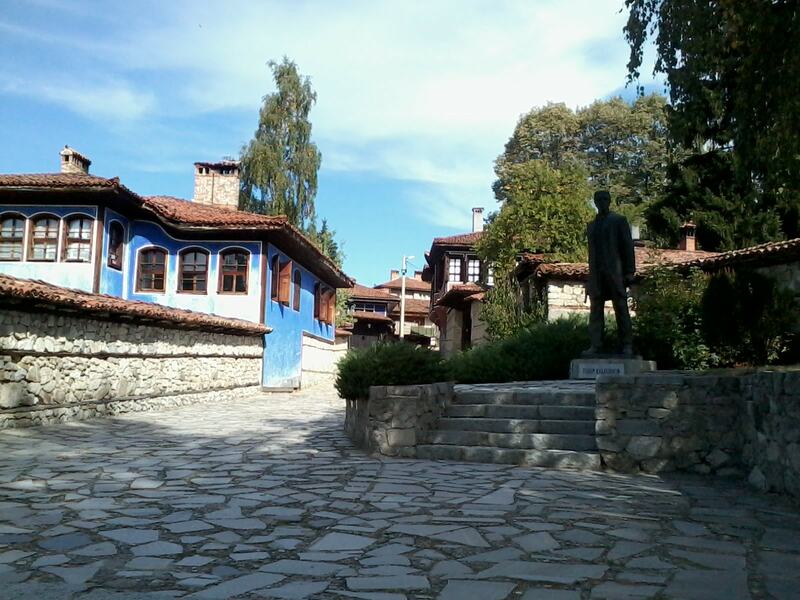 Another interesting museum and birthplace is that of the great Bulgarian poet Dimcho Debelyanov (1887-1916). The house was built in 1830. The museum exhibit follows the brief life and the artistic development of the poet, and includes his crib, his personal effects from the Front, examples of his handwriting, photographs, and other items. In the house’s courtyard is the well-known sculpture of a mother constantly awaiting, seated on the ledge of a Koprivshtitsa entrance. Every year in August in this courtyard, the traditional Debelyanov Evening takes place, when hundreds of poets and musicians gather to perform Debelyanov’s poetry. 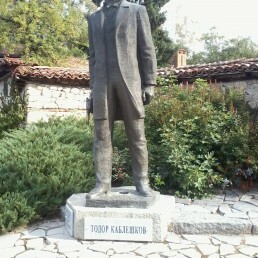 Visitors shouldn’t miss the birthplace of Gavril Gruyev Haltev (1843-1876), a hero of the April Uprising in 1876, known by his pseudonym Georgi Benkovski. The house was built in 1831. In 1966 it was renovated and turned into a museum. Among the most interesting items on display are the gun that Benkovski used during the uprising, a cherry-wood cannon, his uniform, and the banner of the 4th revolutionary detachment. The exhibit also includes numerous photographs. 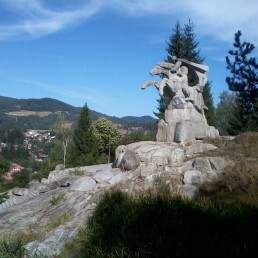 On top of a nearby cliff is a monument to the revolutionary hero, erected in 1976. 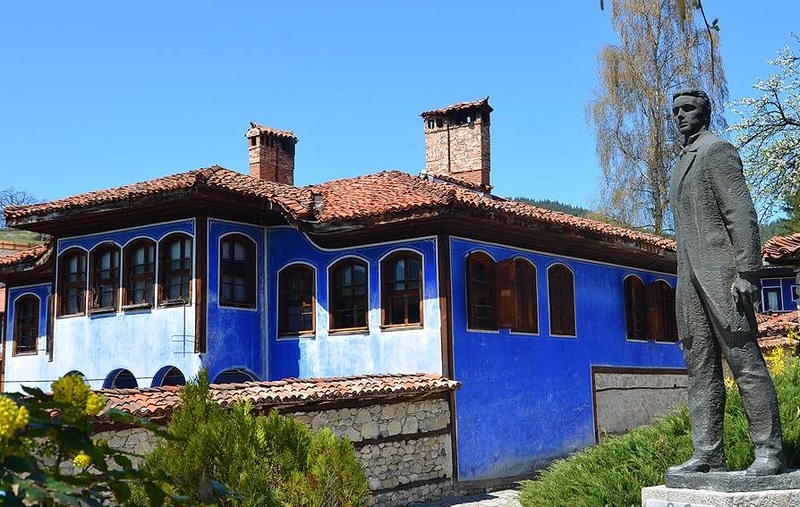 Another interesting site in the town is the museum and house of Lyuben Karavelov, near the Topolnitsa River It was the birthplace of two important Koprivshtitsa residents – the brothers Lyuben (1835-1879) and Petko (1843-1903). One was a propagandist, writer, and revolutionary, and the other served as Prime Minister, a minister, and a financier who helped build modern Bulgaria. The house is a national architectural monument. 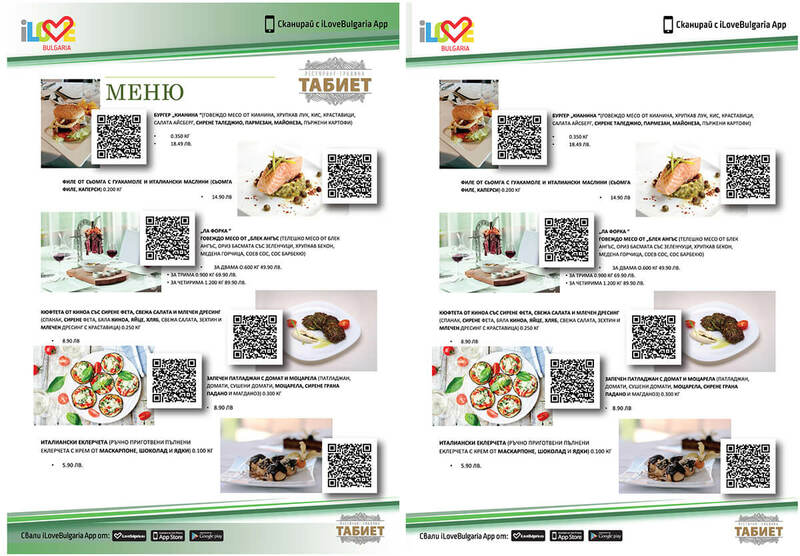 Pride of place is given to the printing press and publications produced by Lyuben Karavelov. An interesting item on display is a flint-studded threshing board. 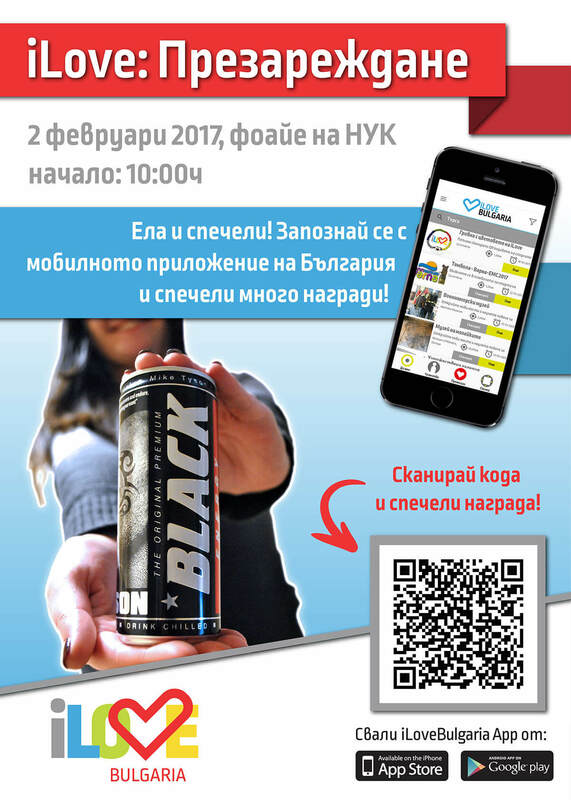 The exhibit includes household items used by the family, and outlines the three major periods of Lyuben’s life – his sojourns in Russia, Serbia, and Bucharest. On the second floor in the summer kitchen are the statesman Petko Karavelov’s personal effects and photos of his life. In the courtyard stands an old pear tree planted by the writer in 1854, now preserved as a natural heritage. Of interest is the church Assumption of the Blessed Virgin, built in 1817 on the site of an older church. Noteworthy is the fine woodworking of the bishop’s throne and the altar with its authentic icons. Another interesting example of ecclesiastical architecture is The Saint Nikolay Cathedral, built in 1842-1843. The cathedral is notable for its murals done on Biblical themes. 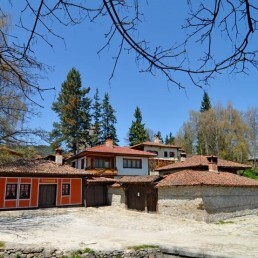 Besides visiting its historic houses and enjoying the invigorating natural surroundings, visitors may refresh themselves at Koprivshtitsa’s more than 40 wells that were constructed during different eras. These wells are generally decorated with stones carvings of six-sided stars, sea creatures, flowers, and other images. Two of the oldest are the Benevska and Chalakova Wells. 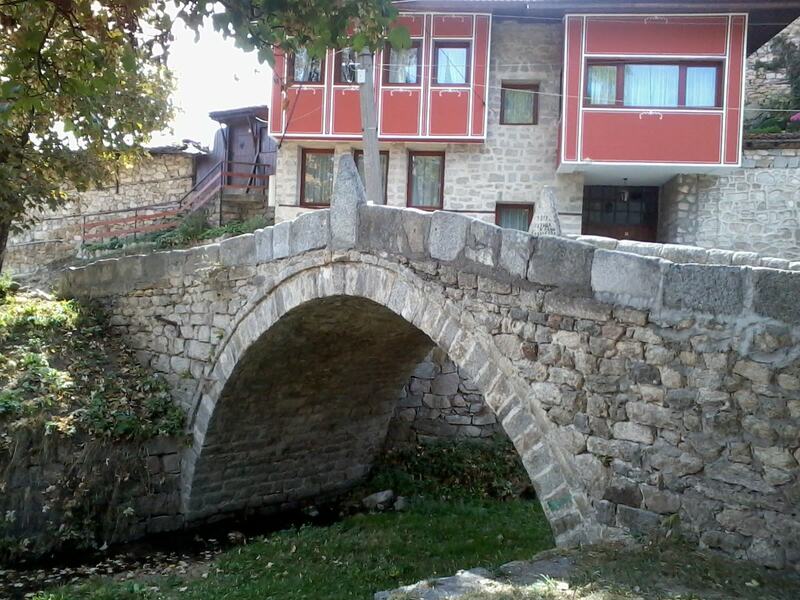 Also very attractive are the town’s many bridges, mainly vaulted stone, erected over small brooks and streams that flow into the Topolnitsa River. The most popular is the Kalachev Bridge, also known as The First Shot Bridge. It was here in 1786 that the first shot was heard that signaled the start of the April Uprising, as Bulgarians fought to free themselves from Ottoman oppression. In the vicinity of Koprivshtitsa there are nature preserves for those interested in eco-tourism. The Bogdan Preserve, as it has been known since 1972, is home to an age-old beech forest, the historically important Clover Field, and the highest peak in the Sredna Gora Mountains, Bogdan Peak (1604 meters). Another nature preserve in the region is the Donkin Forest (declared a protected area in 1979). Here it is possible to catch a glimpse of one of the world’s rare endangered birds, The Eastern Imperial Eagle (Aquila heliacal). 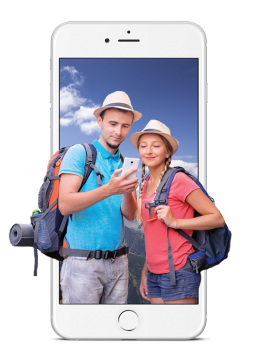 The Sredna Gora Range, which is easily accessible, has a temperate climate, and is endowed with exceptional natural beauty, is preferred by a large number of tourists and nature lovers. There are eleven clearly-marked hiking trails, and the average time of the hikes is 3-4 hours. The difficulty of the trails varies. 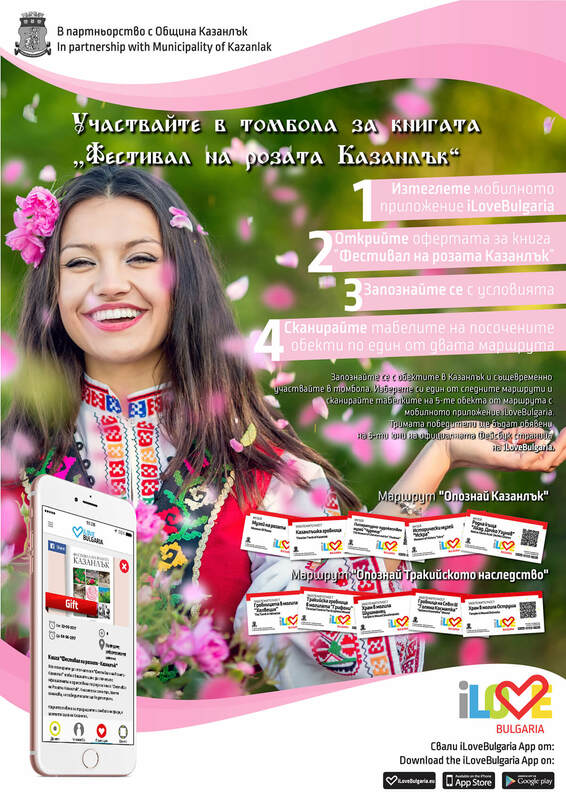 The starting point for all trails is the Bogdan Tourist Center in Koprivshtitsa, where complete information and advertising brochures are available for tourist destinations and hiking trails, including accommodations and eating establishments throughout the town. 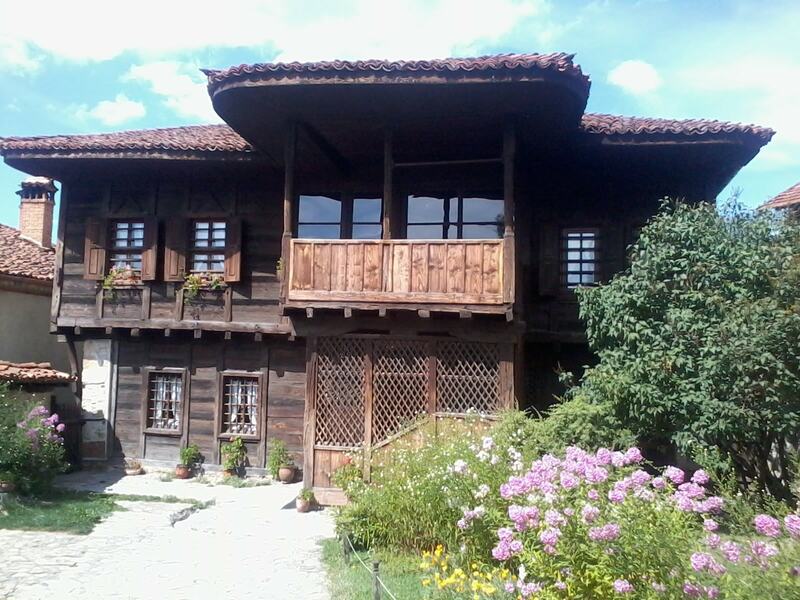 There are many hotels and guesthouses in Koprivstitsa that offer visitors an authentic folk atmosphere. 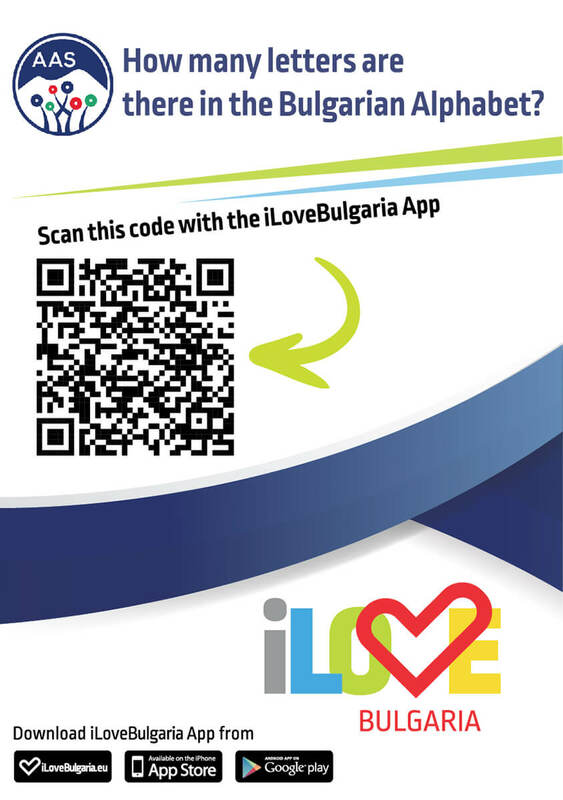 There are also numerous dining facilities offering a wide range of Bulgarian dishes prepared according to local recipes.